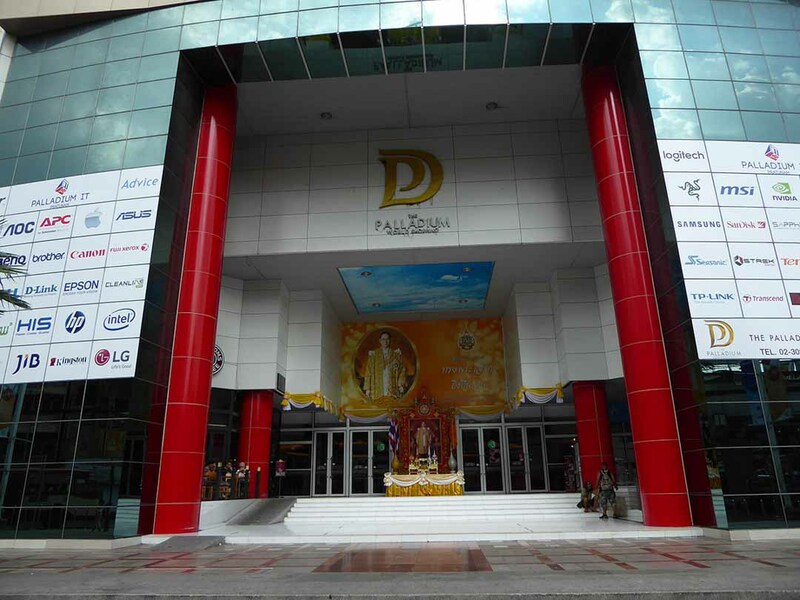 The Palladium Mall is located at the Ratchaprasong/Petchburi Road intersection. 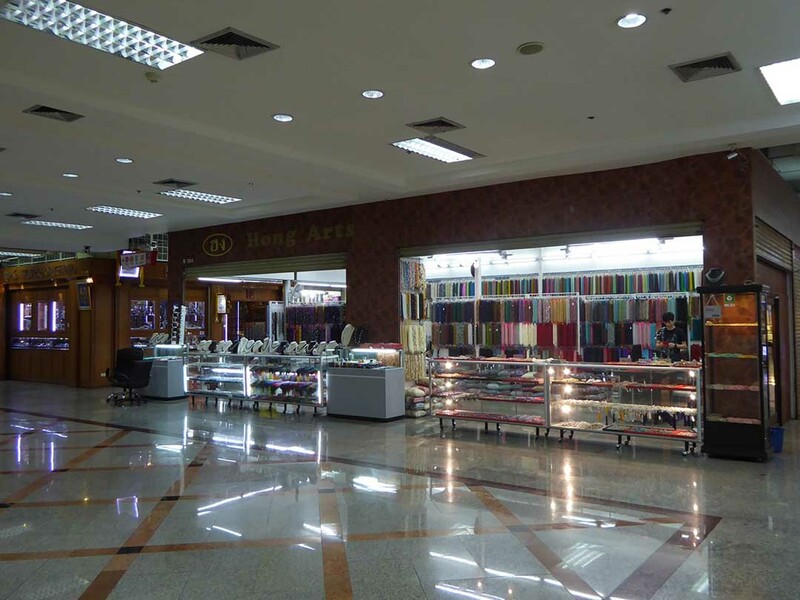 It is a wholesale and retail shopping mall. 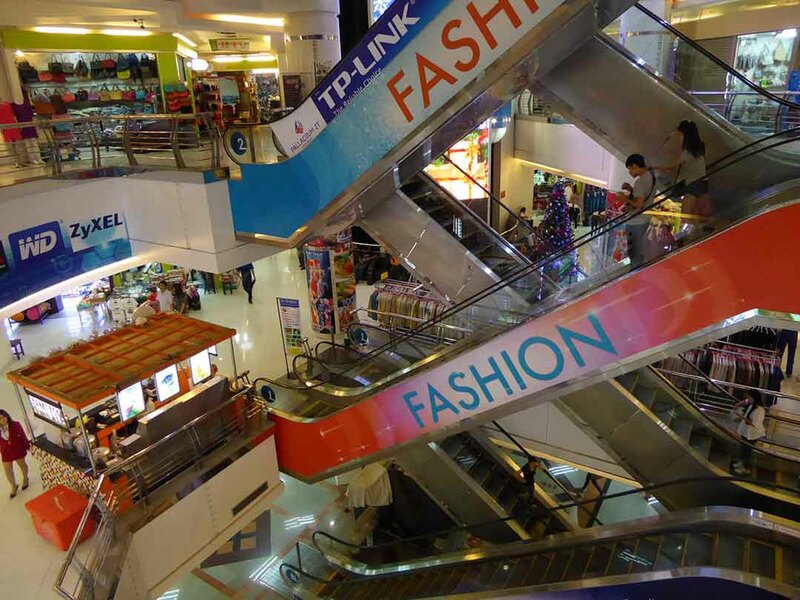 There are clothes, souvenirs, handicrafts, accessories, electronic gadgets, and IT. There are also salons, spas, and Thai massage places. 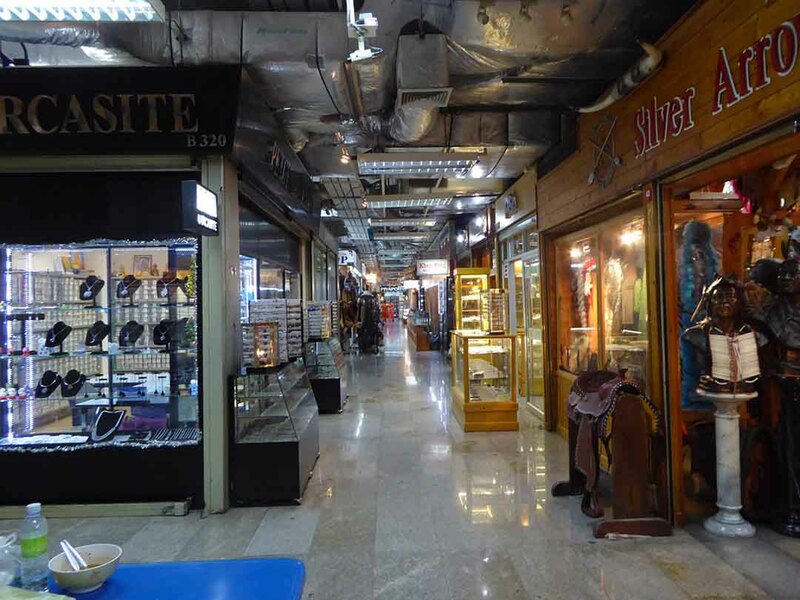 The basement has an excellent silver, semi-precious stones, and jewelry arcade. Lots of overseas dealers come here to buy stock. 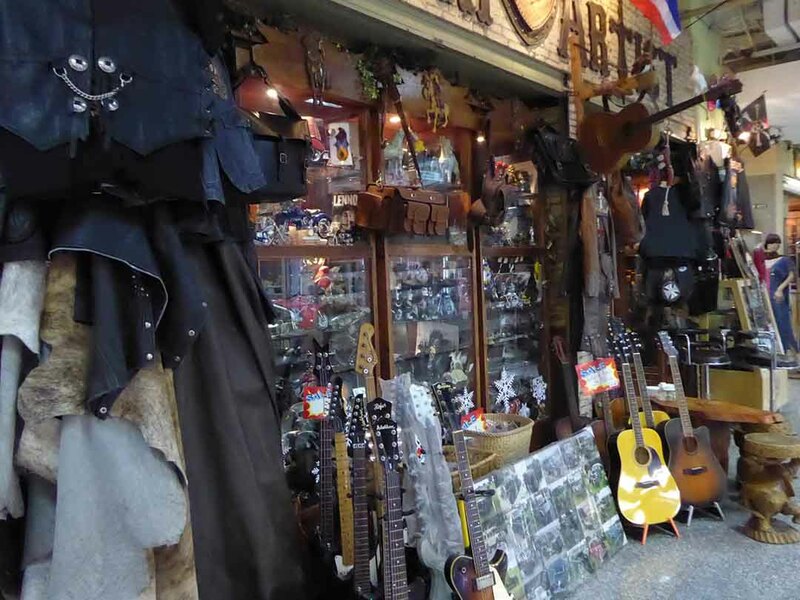 There are other interesting shops in the basement selling leather goods, bags, handmade items, and guitars. Location: 555 Ratchaprarop Road.Pratunam. Intersection with Petchburi Road. BTS: Ratchathewi Station (exit 4), take the first right and walk up Petchburi Road.